If you’re not familiar with Athens, Georgia, then you probably don’t follow college football (University of Georgia is located in Athens). 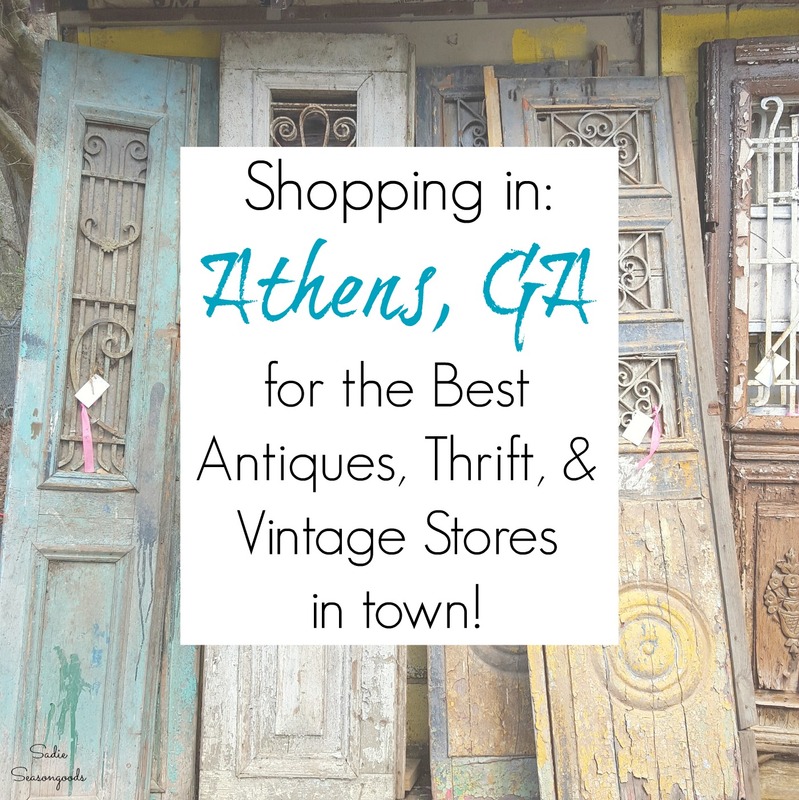 Music fans know of Athens thanks to hometown bands such as the B-52s and R.E.M, but I’m here to talk to you about shopping in Athens, GA. Specifically…the best antiques, vintage, architectural salvage, and thrift stores in Athens, GA! Word of warning- check the Saturday game schedule before you make the trip if you visit in the Fall! 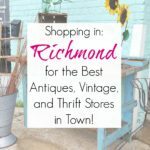 I hit it up the first Saturday of Spring Break, which was the perfect time to go junkin’… want to see what I discovered? So, let me tell you- this vintage / antiques shop was a complete and utter surprise…AND I swear, it’s truly a case of “If Sadie was a store”. From the moment we parked (in front of gorgeous salvaged gates), to the moment we walked in (two stories of well-curated vintage pieces, repurposed art, and architectural salvage), to the moment we finished paying for our treasures (chippy spindles from the friendliest gal imaginable), it was love at first sight AND purchase. 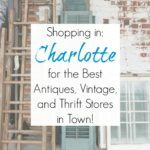 I highly, highly recommend this shop- to anyone who enjoys quirky vintage and project inspiration. And they also boast the best selection of architectural salvage in Athens, GA, too. Another little shop tucked into a small white house- two on the same trip! But instead of antiques, this one was a charming little thrift store. It was full but organized and boasted plenty of vintage treasures in its housewares area. They had a really lovely collection of old books- If I had been in the market for some, they would have come home with me! But I found some ‘70s crewel that I just couldn’t live without- and I’ll definitely go back next time I’m in town. 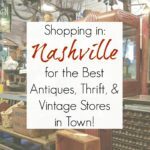 This vintage shop had been on my “need-to-check-out” list for a while…I don’t recall how it ended up on my radar, but it did and it didn’t disappoint. My favorite part, though, was the front yard- scattered with fun & funky “junk”, like wrought iron pieces, old potting benches, and plant stands. I’m also a big fan of junky gardening or garden junk, and this is definitely the antiques store for that, as well. We simply ran out of time to hit everything. But we DID find time to eat at our favorite spot in Athens- Heirloom Café. It’s a farm to table restaurant in Athens, GA located inside a converted old gas station! Right up my “reuse” alley. 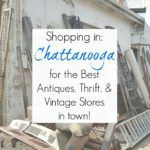 As you know, stores open and close all the time- and at the time this was written (April 2016), these were my favorite antiques, vintage, architectural salvage, and thrift stores in Athens, GA. Now that several years have passed, I’d love to hear your thoughts. Are there new antiques stores or thrift stores in Athens that I should check out? Thank you for the tour, Sarah! It must have been fun to check out those shops. Lots of great treasures. I’m in love with those awesome doors. What a treasure you’ve found in this little town!…The beautiful ironwork at the first shop, and the organized shelves with all the plates and teacups @ Attic Treasures would have me swooning!…loved it all. Now to tell hubby that I want to go to Georgia! What a great story about the marble marbles. I would have pictured tiny little workmen chipping them into shape, but the real method is even more fabulous. What a great trip, thanks for sharing! Looks like a fun trip! You make me want to take weekends away every weekend! I need a trip to Athens! Make sure you go up the road a piece to Statham – it’s worth it! How fun! My kind of shopping! We are the same constanlly looking for this little antiques, vintage or thrifty stores, and every time I travel is a most to visit them. Athens is one of my favorite places to visit not only for the football but the antiques too. I was introduced to the delights of Athens when my daughter went to UGA but after reading your post an visit is in order. Thanks for the reminder. 🙂 That’s what I love to do! Thank you so much for including us on your tour review. I look forward to meeting those who come let your recommendation! You are so very welcome, Bonnie- I would LOVE to have a shop like yours in Greenville, SC…but I never mind driving to Athens for the day. Lunch at Heirloom and shopping at Lexington Vintage, each and every time I go! In Athens, there are 2 Habitat Restores that have reclaimed items from remodels and demolitions. About 10 miles west of Athens, Statham GA, has several antique stores in their little downtown area. 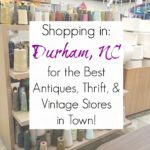 You need to check out Rusty Dusty Antiques in Winterville, Ga. They have a Facebook page as well. Now THAT sounds like a fantastic trip! I love Agora, too (as mentioned in my blog post)- I just ran out of time! Thanks so much! Oops. For some reason, I skipped right over that sentence and went straight to the Heirloom Cafe sentence. Possibly due to picture association? Oh, well. Nevertheless, I enjoyed the read. Thank you. No worries and thank YOU! I really can’t wait to go back to Athens and hit the shops I missed. Great town! Check out Sweet Jasmine in Winder. Downtown Winder also has several shops. For a road trip, Pine Mountain is a great antique destination. I’m planning a trip to Georgia this summer and would love to check this out. Thanks for stopping by Celebrate Your Story. I told my hubby that I want to go to Athens, Georgia and he said, ” well, we’ve never been to Georgia so I’ll take you next week on our way to the beach”!…so I have to take notes from your post and all the great comments. Hoschton/Braselton have some great shops. The Porch Frog, Fox and Hound, Farmhouse Antiques. Braselton Antiques, A Flea An’tique and Countryside are just a few. I love Braselton!!! Countryside is an alltime fave- in fact, I’m overdue for a return trip. 😉 Thank you so much! Sarah, these all look like great shops full of lots of treasures!! Love those amazing doors!! It would be neat to go pickin in Athens someday. Athens was truly a pleasant surprise! 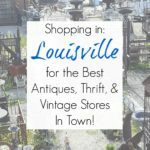 I’d recommend Lexington Vintage (where the doors were) to pretty much anyone and everyone! Next time you are in the market for shopping southern treasures, go to farmhouse Antiques in brasselton, ga. I stumbled upon it by accident, while searching for something else. He has unusual hours because he has a full time job elsewhere. So check his schedule ahead of time. He has incredible contacts and taste. Love, love, love this piece of vintage heaven. Oh, and around the holidays, OMG!!!!! I LOVE that shop- I think it used to be called Countryside Antiques?? But yes, I need to do an entire post on Braselton, just the most adorable town.